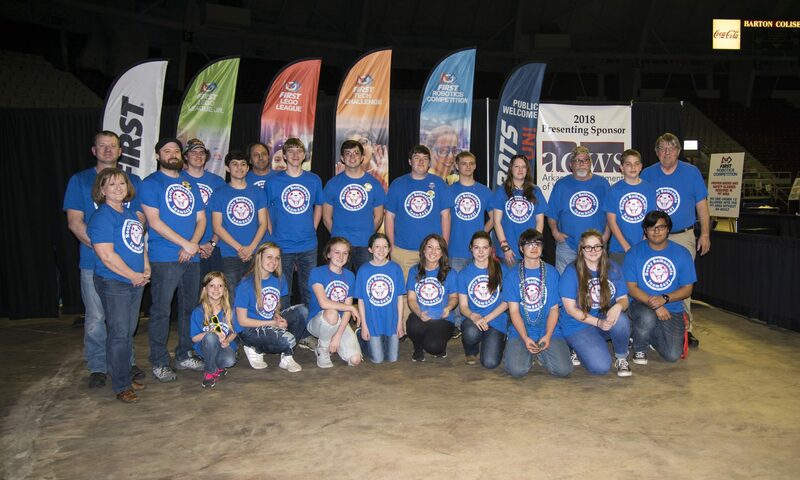 At the 2018 Rock City Regional in Little Rock, Arkansas our team received quite the unusual award. Imagine this: You are sitting in the stands with your team, anxiously awaiting to hear your team’s name announced as an award winner. Most of the awards are gone, and they have made it to Judge’s Award. As the description is read, something unexpected happens. 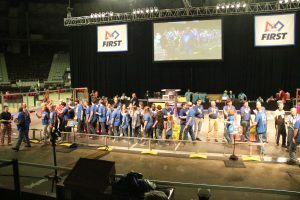 It is announced that this year, for this regional, the Judge’s Award would be know as the “Change in State Award” to eminent this team’s work not only in their community, but all throughout the state. The speaker continues reading, and subtle hints are dropped throughout: “Autism Spectrum Workforce Evolution” the biggest hint of them all. You can feel the excitement rising among your peers. 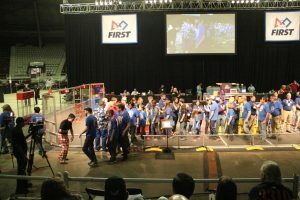 Then you hear, “Team 5437 the Rocky Balboabots!” You are ecstatic and rise to your feet, floating on cloud nine as you descend the stairs and high-five students and judges, beaming the entire time. We are honored to receive this award and we thank everyone who has helped us along the way; our generous sponsors, our community, and those who donated money to our cause. Next PostNext Team Members giving First Inspires Testimonials.